ATHLETICS: WOKING Athletic Club’s seniors were back in action in their second Youth Development (Upper) League meeting at Kingston upon Thames last Sunday. 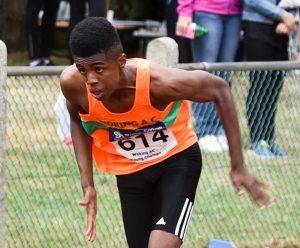 The performance of the day came in the under-17 men’s 200m, with Dominic Ariyo Francis coming home in a new National Grade 1 personal best (pb) time 22.4secs, which ranks him 13th in the country. In the under-17 women’s 1,500m steeple-chase, Martha Collings set a new pb time, that may be good enough to make the Surrey team.